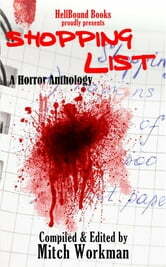 A simply superlative collection of spine-tingling horror from the very best minds in the business! 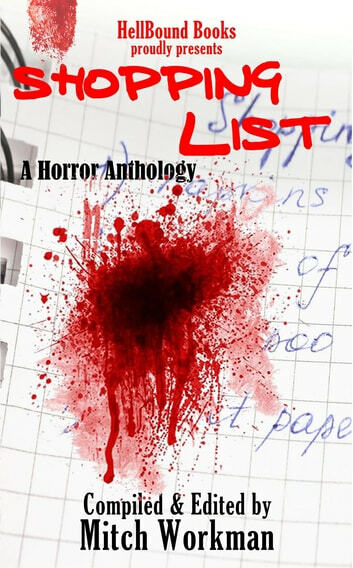 Well, we have given twenty-one of the hottest authors in the independent horror scene the unique opportunity to have their own shopping lists read by you - along with their most terrifying tales of course! Stories of gut-wrenching terror from: Kathy Dinisi, Robert Over, Christopher O’Halloran, Eric W. Burgin, Russ Gartz, Mark Slada, Jeff Baker, Tim Miller, Nick Swain,JC Raye, Jovan Jones, Ben Stevens, David F. Gray, Brandon Cracraft, M.S. Swift, Kevin Holton, David Owain Hughes, Bertram Allan Mullin, Jeff C. Stevenson, Sebastian Crow and S.E. Rise. The copy editing was so bad I couldn't finish the book. Those few stories I did read were less horror and more hamfisted morality tales.